DC Collectibles has been making a huge profit from the nostalgia brought about by their release of old school Batman: The Animated Series figures. And now we have updates on the release dates on the succeeding waves. So while its relatively more available in comic stores when it comes out compared to its 90s predecesor, these figures are equally expensive. But who cares, this BTAS we’re talking about. Next month will see the release of the deluxe Batmobile with Batman and Robin as well as a 2-pack with the Bat-Signal. So while the Batmobile is cool and all, we would give our hard-earned cash to the Batjet from Batman: The Animated Series which comes out in December 2016. If you’re more of a Joker fan, there’s also a Christmas themed Joker in that month’s release. 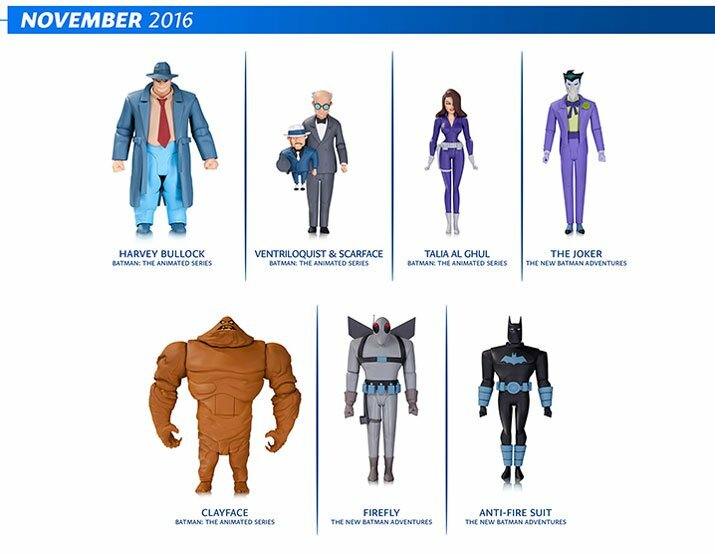 We cannot thank DC Collectibles enough for actually producing more of the BTAS stuff. Sure DC still killed the Animated Series universe by the end of Justice League Unlimited but its a nice gesture that they havent forgotten this line.